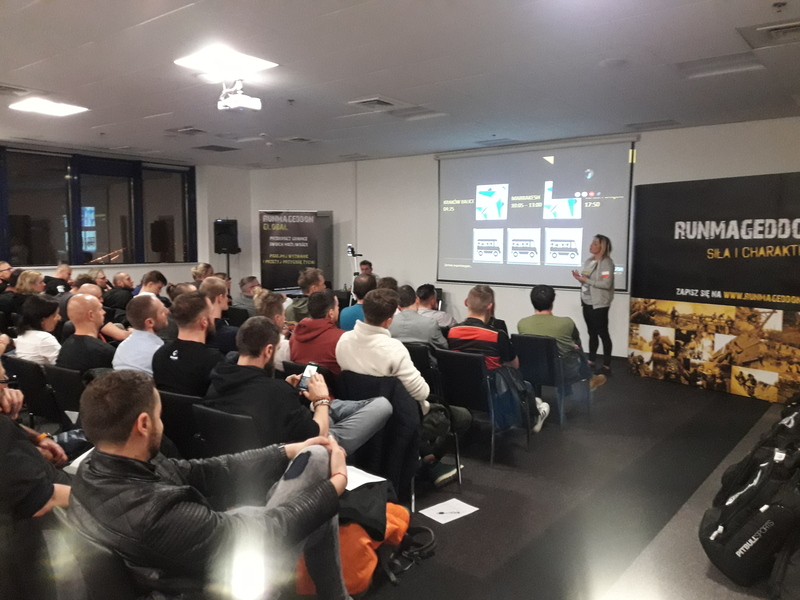 On January 15th, the headquarters of Runmageddon Global organized an organizational meeting of Runmageddon Sahara 2019 Participants. The meeting was conducted in one of the Warsaw office buildings - around fifty Participants took part. The meeting was opened by the President of the Runmageddon Foundation - Jarosław Bieniecki. Participants were also welcomed by the Ambassador of Runmageddon Global - Dominika Stelmach, who joined us via Skype from the training camp in Kenya. Participants of the desert challenge received information from several areas. The agenda, prepared by Marcin Szymański, director of Runmageddon Global, included the presentation of Morocco (led by Agata Ciastek - Association of Friends of Morocco), details of the event and the routes of each stage (provided by Mateusz Śliwa and Jacek Gardener), classification rules (speech by Paulina Kędziora) and organizational matters that Ewelina Popławska described. The meeting ended with the distribution of starter packs and discussions among new members of the Runmageddon Global family. The most popular topics of the discussion were the Runmageddon Sahara formulas, training plans and lists of things to take to the event. Our next meeting will take place at the airport on March 11 - the day of departure to Marrakech.